Pancakes – eaten on Shrove Tuesday were a way of using up any eggs, milk and sugar before the start of Lent. The ingredients are basic and simple yet it is a recipe that involves the whole family. Each one getting their pancake fresh from the frying pan and then waiting their turn after everyone else has had theirs dished up, this continues until the batter is used up. Even the dog gets a look in, as the first pancake for some reason is always less than perfect – it is the tester and instead of going into the bin it goes to the dog. He has now come to think of it as part of his job description. As a family we tend to like ours simple with a sprinkling of sugar and some of us like a squeeze of lemon juice but not all of us. There is something comforting and filling about pancakes. Best eaten hot and with a filling of your choice. 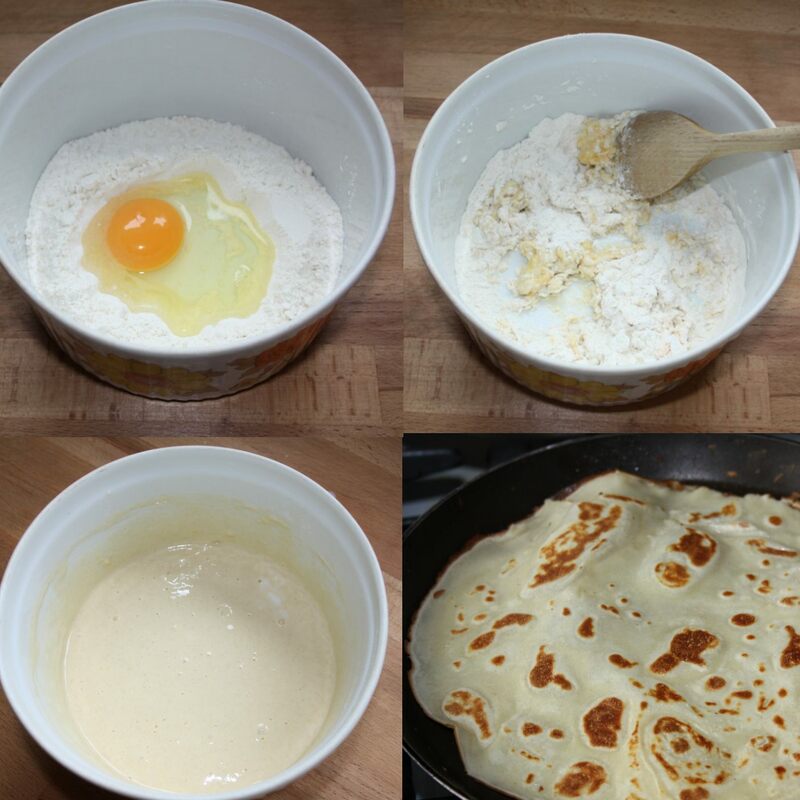 Put the flour and pinch of salt into a bowl and make a well in the centre, crack the egg into the centre and using a wooden spoon start to beat – gradually bringing in the flour. Add a little milk to ease the mixture. Do not add all of the milk as it will be nearly impossible to stir out all the lumps. Add the milk a little at a time until it’s all used up. Now pour this mixture into a measuring jug and put a plate on top and leave to sit for 30mins plus. The mixture needs to rest. Take a frying pan and wipe with melted butter or put a drop of sunflower oil on the bottom and then wipe off with a piece of kitchen paper. Stir the mixture after it has stood and pour a little of the pancake mixture into the pan tilting the pan so that the mixture spreads over the bottom of the pan. The aim is to give the bottom of the pan a light coating. Very soon the pancake will start to form large bubbles of air under the batter and the edge of the pancake will darken and come away from the pan. At this point lift the pancake a little and see if the underside is golden brown, if it is you can either stand back and toss the pancake over or use the less exciting spatula method. Cook for a minute or two and when the underside has spots of brown, turn out onto a plate. For some reason the first pancake is never perfect and is usually thrown away. I find it is the tester for pan oiliness and heat. 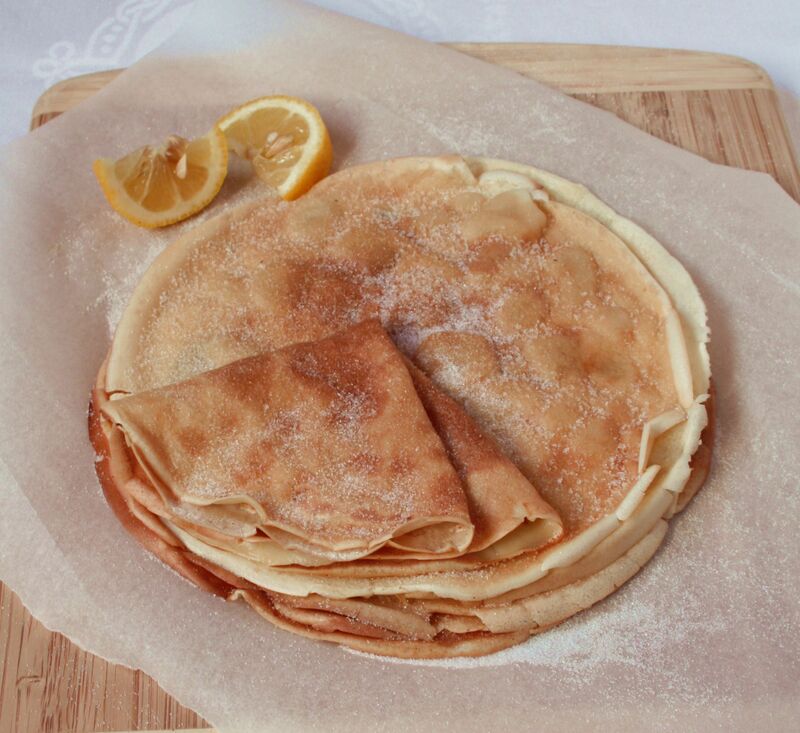 Traditionally lemon juice is squeezed over with a sprinkling of caster sugar and then the pancake is rolled and eaten. It has been known for me to make a butterscotch sauce with some sliced bananas as a filling. 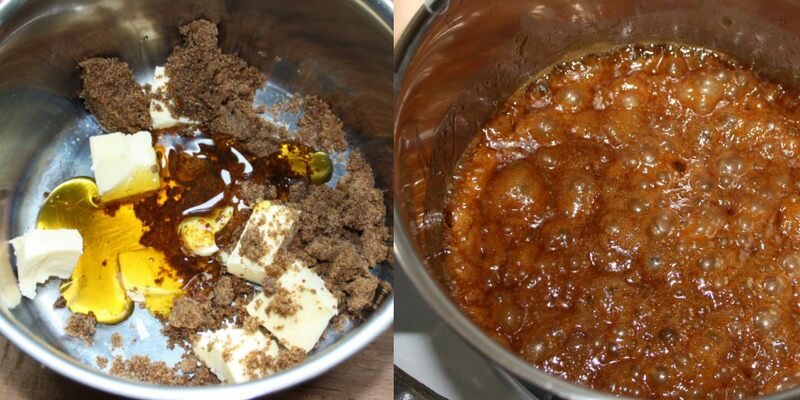 Put the butter, syrup and sugar into a pan and gently heat. Stir, and when it has all dissolved leave on the heat until it starts to bubble acting like molten lava. At this point remove from heat, add the cream and stir. Within seconds it will calm down and become a beautiful silky sauce. May be served warm or cold. 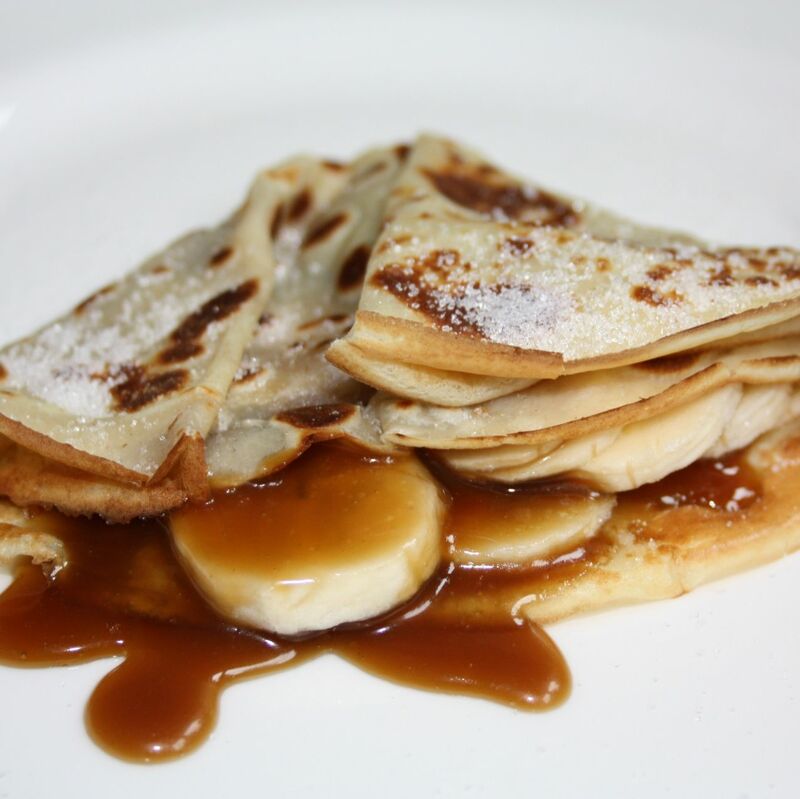 Chop banana on to pancake and add butterscotch sauce, fold and sprinkle with caster sugar and serve.